Need Help Planning a Napa Trip? Use the form on the right to contact me, Local wally. I can help you with everything from picking out wineries and restaurants to helping you plan your trip from start to finish, all free of charge with no bias or hidden agenda. Local Wally shows you how to find EVERY FREE Napa and Sonoma Coupon and deal, 2 for 1's, free tours, and the BEST Wine Pass Offer! In the good old days wine tasting in Napa and Sonoma was a cheap way to spend the weekend, cruising the country roads and popping into whatever winery looked interesting. But unless you have a Delorean and some spare plutonium those days are long gone. Gone too are the plentiful coupons and easy to find free wine tasting offers. But don't worry, there are still ways to get cheap and discounted wine tasting today, some free offers and others requiring a wine pass. Don't waste your time on the web, read on to find the perfect strategy for getting more wine for your dime. Pay full price for wine tasting? Don't be ridiculous! Looking for the Napa wine tasting coupons? Most wineries have moved away from free coupons and towards passes like this and the Priority Wine Pass is the best. Unlike other offers that make you sign up for every coupon or phone apps that make you tweet or post, the Priority Wine Pass is retro-simple. Just flash the Priority Wine Pass and the world of 2 for 1 wine tasting in both Napa and Sonoma swings wide open. Over 150 wineries, restaurant and hotel deals, and unpublished specials for free wine and VIP tours. IS IT WORTH IT? The pass is $39.99 if you use promo code localwally when ordering. Since most wineries charge $25 per person to taste you really only need to go to two wineries to break even. Good for a year, good in both Napa and Sonoma, it's my top pick for wine pass. ORDER THE PRIORITY WINE PASS NOW! Free coupons have gone the way of White Zinfandel - hard to find and at times more trouble than they are worth - but if you are on a super tight budget or just want to squeeze every last drop of free wine in Napa or Sonoma then head over to these sites for free wine tasting coupons. napavalley.com and winecountry.com: Same deals at both, about a dozen deals, most are minor discounts and some are already expired. Barely worth the effort. winecountrythisweek.com is a better site for free coupons, especially for Sonoma. napavalleywinerycoupons.com has coupons that are the same as the ones on their phone app. Site is a bit cumbersome and slow so be patient. There are a number of other wine passports that get you deals or tastings in a limited number of wineries. Napa Downtown Card: Sample wines at 8 different downtown Napa tasting rooms. The card costs $30, not a bad deal if you only plan on tasting downtown. St. Helena Passport: Sample wines at 8 wineries for $60. As with the downtown card, not a bad deal but quite limited so only purchase if you are only tasting in St. Helena. Napa Valley Passport: Similar to the Priority Wine Pass but with fewer wineries and $60 price tag. 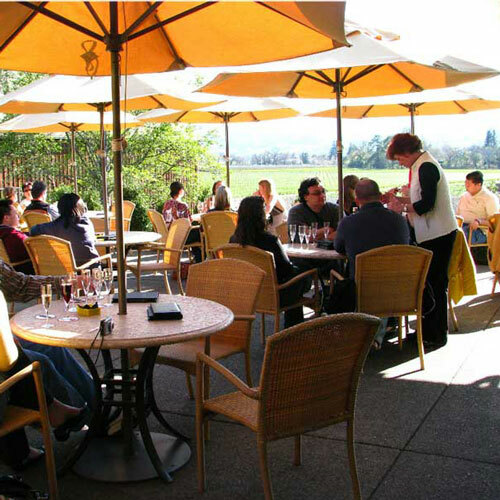 Visa Signature: Bring your Visa Signature card to Sonoma for discounts. Offers vary by winery so do your homework if you want their tasting deals. More Info on Napa Wine Tasting Coupons! Looking for Deals in Temecula? Sonoma? I have you covered! Get the latest Napa and Sonoma deals sent right to your inbox with no SPAM or ads. Hey good looking, thanks for signing up for my newsletter! Local Wally's Napa Winery Coupons ©2016. All rights reserved. The Easiest Way to Get Free Tastings! Order your Priority Wine Pass for only $39.99 and unlock 2 for 1 tastings all over Napa and Sonoma. Buy it here and get the lowest price guaranteed, a Local Wally exclusive offer to my readers.